Richmond Park: Solly enters the fold. A new kit courtesy of Freddie Merckx meant I had some garments to match the weather. Spring outside meant a very floral kit from me. 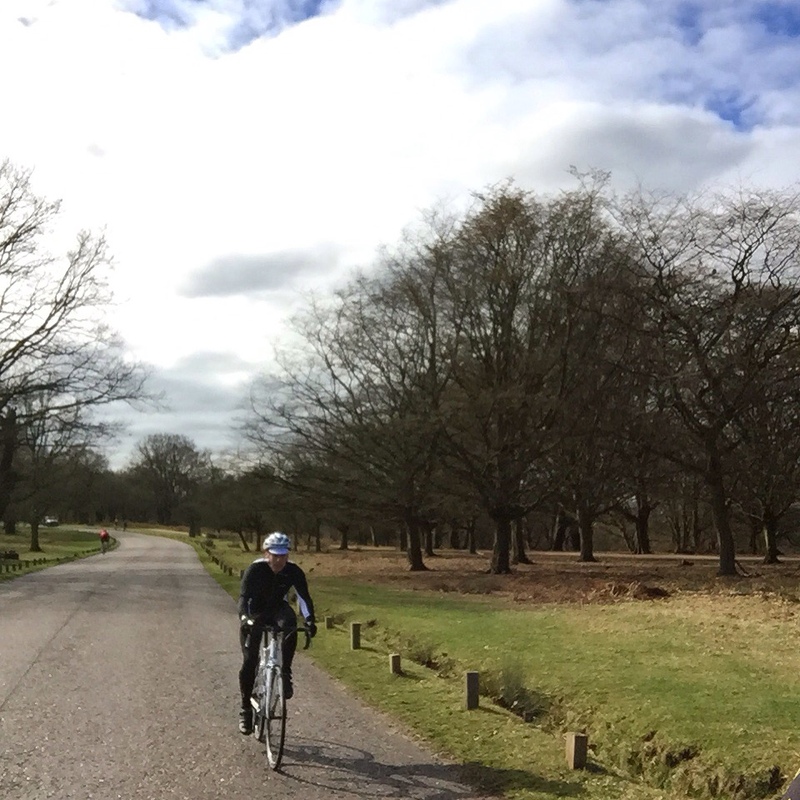 In tow for today’s ride was Hendo, who despite having cycled in London for a few years had yet to get himself out to Richmond Park. It was a day of firsts, as Saul — another friend who has recently bough pt himself a ride bike — and I had yet to ride together. The weather was perfect, but I’d forgotten how trying the journey from south-east London to Richmond park can be. Around 60-70% of the journey (or, if not, what feels like that amount of time) is spent on the roads of London stopping and starting at numerous traffic lights. It’s worth the effort on days like this for the scenery and the deer, but with Kent around 10km from the house, heading out this way can feel a little like a false economy. Saul took it upon himself to enact his own initiation on the second lap of the park. A momentary lapse of concentration took him from the road and into a grass ditch with an almighty crash. We finished up at the new London Grind on London Bridge. A superb location serving up a well-timed flat white for all. A short but sweet ride befitting of a sunny Sunday.